We have a nice Double-wide Palm Harbor home, near Toledo Bend Huxley Bay area. We would put someone up, to come fish TB, or Lake Pinkston. Any takers? You bring the boat, we provide the lodging! BillM, I sent you an e-mail. I am 48 yrs old, married, three kids and a Christian. I have a 19'6" Javalin Renegade w/175 johnson. I fish Choke Canyon, Mathis, Falcon, Coletto Creek. Live in the Corpus area. I am a member of STX federation,FLW,Quality Bass Club. Will fish the triple "T" this year on the pro side. Need some help on Rayburn, Cedar Creek and Texoma. Never fished them and they are part of my tour this year. Please resend your Email . I don't remember getting it but if you would resend it. headed to Texoma this weekend. Bill, I just e-mailed you. I think this is a great idea and a wonderful way to meet other TFF members. I live in the Austin area and I don't have a boat but would be willing to share expenses if someone has a back seat open. BillM, I received an undeliverable message when trying to e-mail you. Do you have an updated e-mail address? I fish Joe Pool most of the time but have been known to fish Grapevine and Eagle Mtn. as well. Never done well on Roberts, have had some good days on Hubbard. Thought when I moved to Texas I would fish Fork more but usually only 1 week a year. Fayette's a bit of a run but one of my favorites. I'm heading to toledo bend for a week in May and have been trying to find someone to hook up with there. If I can help ya out let me know. If I have a back seat I usually post it here. Now Choke will deliver usually. I'm Josh. 22 years old, dont smoke, have a boat. I work Fri, Sat, Sun, and usually fish Choke, Coleto, and will start fishing Mathis in the next two weeks during the week. 17' dixie dual console bass boat, 85 hp. Can fish a full day on $30 of gas each if we go halves, which isnt bad considering its $2.85 a gallon now! i am new to the san antonio area and am looking to spend some time on choke the next few weeks. any info on where to start and what to look for as far as cover, structure, and productive techniques would be very much appreciated. i have a 20ft ranger with a 200hp evinrude. i am from the panhandle and used to fish tournaments in that area, the lakes down here are slightly different than what i am used to and any info would be greatly appreciated. I occasionaly have a back seat as well, but it is usually filled by my girlfriend. I am new to the San Antonio area and am going to be trying out choke canyon for the next couple of weeks. I am from the panhandle and fished 4-5 days per week up there. I have been looking at maps of choke and have some decent ideas of areas to start at but local knowledge is always invaluable. These lakes are a little different than what i am used to and would like some info on where to start, types of structure and cover to target, and also productive techniques. i have a 20ft ranger with a 200hp evinrude. i occasionaly have a back seat, but my girlfriend takes it up most of the time. any info or anyone possibly interested in taking a 2-3day trip let me know. I have a Ranger 520 with Yamaha 225 HPDI. I fish these lakes above all the time. I am really interested in swapping a Fork for Livingston trip. Does anyone out there have any knowledge of gulf coast? I am looking at the Port Aransas area but will most likely consider going anywhere? I would like to go out to the rigs and wrecks but will fish bay areas. Also would like to target striper as well on some of the lakes. I have the boat if you are willing to share some knowledge and help with exspenses. KSutton, I will swap you a trip, Fork is my lake if you are interested. I will be snowbirding Jan,Feb. in Port A. And Del Rio in March. Have never been to either areas before. Am pullin a 16 ft alum. boat,50 hp. behind a 5th wheel camper. My wife and I plan on fishin all the time. Would love to learn the areas from a local fisherman. Want to catch LMB in the fresh water, and Reds & Trout ect. in the saltwater. We are 49 yrs young, empty nesters. We run a Dairy Queen in Minnesota, and take the winters off. Can use your boat,or ours. Hey guys I live in Beaumont how about Sabine lake/jetties/river. Drop me a mess and I will get back to you asap,check my post under saltwater reports. Anyone wanting to fish in the Houston area is welcome to join me.....Conroe and/or Fayette are probably the 2 I know the best. Also fish Coleto Creek and Rayburn quite a bit. I am a traveler and will be in the Bryan, College Station area from the end of aug till mid nov. Have fished Conroe since '84 on and off, Galveston jetties, the bay and now have a 19.5' CC Kenner w/115 opti. Will be doing cats and crappie on Conroe, reds and trout in the bay and bottom fishing near shore rigs and wrecks. May even hook a king or two heading out or in. Drop an email and lets make a long range plan or two....or wait till aug and then do it. When you email me, I will send a return with my cell #'s. I told my "X" she was fat...she said she was "big boned", told her I had never seen a fat skeleton...hence..my "X". Now, I fish, therefore I eat. I live in the DFW area and don't have a ton of experience but have a boat and usually always have a backseat available it is a 19 foot Chamnpion with 200 horse mariner. Will go to any lake with a little help on fuel. I'm originally from Iowa. Moved here 4 years ago to teach/coach. Right now I live in Irving with my wife and 2 year old son. I don't have a boat but hope to change that next summer. What I have to offer is some of the best ice fishing you could possibly experience. For someone wanting to do something completely different...here's your chance! I would love to fish Amistad or Fork. Shoot me an email and lets see if we can get something set up! Make a long story short, got computer fouled up, had to change names. Was Centerdriver, now Kennercc. Found out not going to Bryan/College Station, but heading instead to Texarkana. Will be fishing Wright Patman and LOP mostly. Still will be taking the boat down to galveston for salt doing the jetties and near off shore. Normally fish with the wife, but she works on some days I want to fish. Putting a smokeing section in a single room resturant is like putting a pee area in a swimming pool. My name is Mike Mundy, live in Midland Tx but have a trailer at Lake Amistad. Will be glad to show you around the lake. Trailer is in Holiday Trav-L Park, Lot #136 (on the corner). Green and white, screened-in porch with a deck. Come on by when you have some time. Coyotek, if you'd be willing to reserve the campsite at Emma long I know a whole Carp Brigade that would be happy to teach you how to catch MONSTERS from the bank in Austin. Just thought I'd throw out a bank fishing option. ALL anglers are usually welcome when we fish Austin. I hope to have a boat soon and will take some of you boatless members up on some knowledge of your home lake. Dan in MN., come by and see me when ya get here. Can put ya on some good locations and even share my boat with you if you wish and go fish a bit. How about swapping Flyfishing in Bozeman Montana for Bass/Crappie fishing in East Texas? I would like to Swap a fishing trip to fork(I'm not a guide but know the lake very well). For a Deer hunt in KS,OK,West Texas. This sounds like a great idea. I just moved from Ohio to the DFW area in February. I haven't been out on any of the lakes yet but am getting really anxious. In Ohio, I fished many local circuits along with the BFL and a few Stren tournements. I run a Champion 206 Elite dual console, I'll supply the boat and the gas if you show me the lakes. Last edited by Charles B.; 06/04/08 07:10 PM. mostly available to fish weekends but with a little notice the weekday will work as well. Trading a Minnesota fishing trip for an outing in Texas. I have several Mississippi backwater areas and smaller lakes in MN with great fishing (20-30 fish days are common, 2lb+ average with several at 4ish and usually at least one over 5-6lbs) Other options would be Lake Minnetonka or smallies on Mille Lacs. I have a 17' Bass Tracker with plenty of room for me and 1 other person. The trick is, I am only in Texas this week through the 14th. If you can get out fishing this week, and you plan to be in MN sometime this summer, lets talk!! I'm a 22 year old colege student I live in San Antonio and am an avid angler for catfish, bass, crappie, etc. If anyone has an open seat on their boat let me know id realy enjoy another trip with an angler from TFF. You can PM me or e-mail me at liquidliferep@hotmail.com Im more then willing to pitch for gas or lunch etc. I shoot out of a 17ft custom ridged Alum Boat, 3000 watts of Generator powered lights. If we need more light, the boat has 2 aircraft landing lights. I can take 2 shooters at a time. Can we keep him as a pet ?? Im a guide in Broken Bow Oklahoma in the Lower Moutain Fork River, for Brown and Rainbow Trout (flyfishing only). During the months of Febuary - April, I guide in Rowlett at a creek that flows into Lake Ray Hubbard called Rowlett Creek. 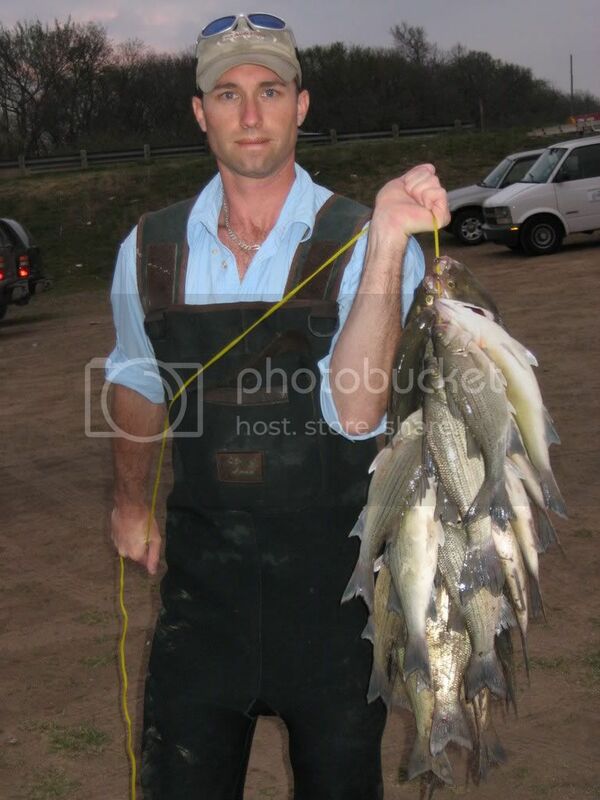 If you would like to research this topic, find under bank fishing, thread is called Rowlett Creek Sand Bass Run. I have been a guide for 7 years now on Rowlett Creek and 4 years in Oklahoma for trout. Im willing to trade or just find some happy clients. feel free to PM me or below is direct contact information. Tight Lines! Hey guys I can help with a boat or cash to see different lakes in the dallas fort worth area. Going to grapevine for the first time saturday. don't know the lake but want to try it.anybody who knows the lake want to join us? with a 115 Yamaha. Very comfortable for 3 and pretty good for 4. I also like salt so if you are interested in lakes near here or the coast give me a shout. Hey you guys in charge. You might think about putting this thread on the front page. I am in on this. I have a 21' Stroker with a 225 Merc. I am new Houston area lakes. Let me know nd we can go fishing some time. Im the manager of Tri_Lakes Tackle in Lufkin about 25 minutes from Sam Rayburn. I fish BFL, Weekend Series, and ABA. I'm also on the SFA College Bass Fishing Team. So I'm constantly traveling to new lakes. I have an College FLW tournament on Falcon in January. I'll swap information for information. I know alot of big tournaments on Rayburn are tough sometimes, but i do well on it and I can tell you atleast whats going on when your tournament is supposed to be. Put you ahead of the field a little. I own/operate 34' charter boat out of Sitka, Alaska. 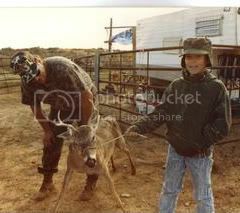 I'm looking for a good Whitetail hunt with comprable accomodations as what I Offer up North. For anyone interested who does not have the ability, or resources to swap, I do have 3, 3-4 day spots available for the 09' season. Newbie here, looking for anglers in the San Antonio area. I work Friday - Monday, yes it bites. But, that means I should have the lake mostly all to myself when I get there. Anyone willing to show the new guy the ropes? Please PM me. I'm looking for a fishing partner. I live in San Antonio and have a place in Del Rio. If you want to go fishing let me know when. Last edited by bearf15; 01/17/09 11:25 PM. Hello, I live in west Fort Worth, have a 18.5' Nitro w/ 150 Merc. I primarily fish for largemouth, but also would enjoy catching a school of sandbass or hybrids or stripers; want to learn to catch crappie; and if nothing else, then catfish. I'd really like to find a permanent fishing partner, somebody around my age (i'm 27) and who wants to learn these local lakes or maybe fish in some CHEAP tournaments like "big bass fun". Mostly just for fun and catch dinner. If anyone is interested, send me a PM. I live in north richland hills and have a 18' Javelin with a 150 on it , i fish hard and most of the area lakes like pool or worth or E.M. even weatherford, grapevine, (my mom live out there) if anyone wants to go fishing and can stand some relaxing yet hard fishing with a smoker then PM me I usually fish like 4 or 5 days a week I howevey already have a tourny partner but would be open to joining up with some one else for maybe just some small working man tourny some time, or just a afternoon out on the water, If you wanna come out with me all you need is a little gas money. I fish for blacks but I get ion the sandies from time to time. I am open to any kinds of fishing and always excited to learn somtheing new, like age would be prefferred, and if you cant stand a little cussing and spittin maybe a beer here and there (not on the water or course)then this is not the fishing trip for you. I am looking for openminded people that love fishing. Would like to learn better techniques for catching larger fish. Expense would be approx $30 for a day trip. [b]Fishing isn't a matter of life or death. It's much more important!!! "Save the man, Save the family"
i would like to trade you a hog dog hunt. you interested? To be the man, woo you got to beat the man! I dont have a boat and only have a few days a week that I might could get out.. I smoke I cuss and love to fish.. only problem is I dont make alot of money so its a hear and there thing that I could throw down some cash.. I wanna fish some bigger lakes Ive been fishing the same private tank the last year with a buddy of mine... Im not the best of the best but just enjoy getting out and relaxing and maybe having a beer... I can offer a trip to a private tank in exchange and we could do some bank fishing or take the little boat out thats there but kinda hard to stand up and fish in a 12 or 14 ft. aluminumn v hull. daltexmex i will trade you a fishing trip for a hog dog hunt. thats fun stuff. I have 20ft Kingfisher wt a 200hp Johnson fully loaded. I fish 5 to 6 days a week. Most of the time on the pool cause i'm just minutes from loyd park. But I'm very savvvy on most all the lake between Texoma and Whitney. I fish for Blacks,sandie's,cat's, crappie. I caught over 20 crappie last night wt my girlfriend on the pool. I live near Lake Buchanan,Travis,LBJ, and Inx Lakes. I have a 20ft. ranger w/225 efi. I would trade a trip to Cedar creek. I am not a pro but am in the bass club and the Federation. I am available weekdays. Some weekends are open. Great post. Id be up for taking people on the guadalupe trout fishing, and I allso have a 30ft offshore boat with twin 225s that i fish outa port a and port OC. Not a real big bass fisher but i love all fish but would like striper, sandy, cats and crappie more. Hi my name is Jeff. I live in Alvarado. I'm looking for someone to fish with. I have my own boat and fish Alvarado, Cleburne, Aquilla, and Whitney. I only work 3 days a week. I do fish a few working man and open tourneys around where I live. Do not want to travel too far. If someone else is looking for a fishing partner, maybe we could get together. I am married w/3 kiddos. My boat is a Nitro 16 w/60hp. Good boat for 2 fisherman. Prefer someone with their own boat so we can trade out fishing trips to keep cost down. Last edited by gettinjiggy; 04/28/09 06:55 PM. ksutton, or anyone else.I go to fork most weekends not looking to swap a trip but if you would like to go, we can make it happen. now about me i smoke and my choice of words may not be the best sometimes but that's the way i am,i'm not rude just cuss too much so the wife say's. but fishing is my tranqulizer. most people that work with me say i'm a different person on the lake. so if interested give a shout let's catch some fish. I live in Fort Worth and kno Benbrook and Alvarado small lakes that my dad always took me too and trying to get out to other lakes in the area i just got out of the Navy and now trying to get into a few tourny's but all i have now is a jon boat working on the new boat so pm me if u dont mind taking a extra along or if u wanna learn those lakes. Im off on tues. and wed. rite now but it rotates since im shift work. 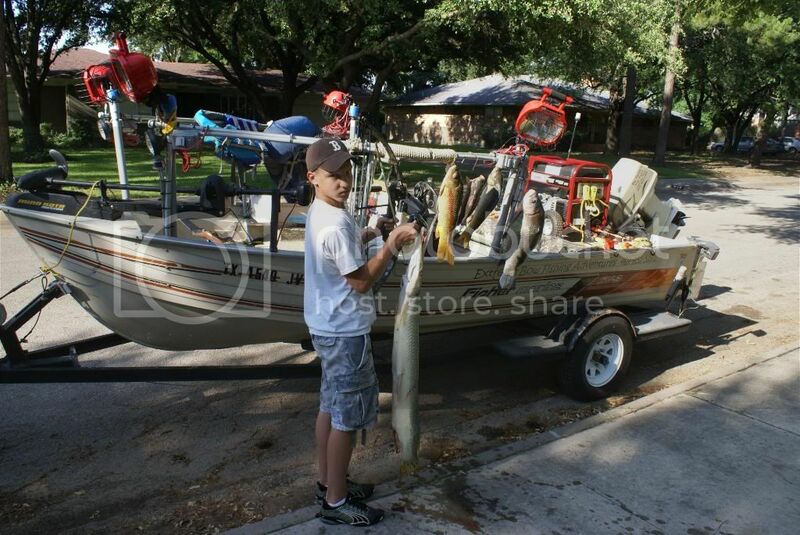 ehy guys i dont have a boat but i am a beginner angler in the dfw area. i live by lewisville and close to grapevine. If anybody woulnt mind i would love to go out with some of yall to learn more and just meet fellow anglers. i am the only one in my family that enjoys the outdoors so i dont get to go with a partner often. also being in high school fishing isnt the coolest thing for others to do everyday after school. I just posted the other day that I was looking for a partner, I usually fish Medina and Choke.... check out my post in the partner finder section and let me know if your interested in getting together. I live in Weslaco and would love to fish Falcon...have heard lots about it for years. I don't have a boat and have heard it's must for Falcon. I'm a teacher and after July 10th am off til Aug 13. I'd be very interested in fishing with you. Let me know. I am a 21 year old college student. I live in College Station, Tx. I grew up on the Gulf near Matagorda Bay. I have a river house on the Tres Palacios River. I have a 16 ft. flatbottom set up for gigging and fishing. I have 2 Ocean Kayaks. Several of my friends are guides or own other property nearby one of the two locations. I'm not too particular on what I'm interested in...If you're interested in fishing one of the areas near where I live or something then let me know and we'll see what we can work out. I have online classes this semester so as of now my schedule is pretty open. i think that sums it up. lemme know if u wanna swap, or just wanna go fishin with me. Hi, my name is Dawson. I live in Tyler. Lake Palestine is closest to me, but I also fish for, tyler, and hawkins. In the winter time I mainly go for crappie and cats, I have a 20'6" Center console with a 115 yamaha. What I don't have is a lot of spare cash to feed it, so I am looking for people to split expenses with when I go. I usually make an all day affair out of fishing at least once a week, and I try to go in evenings when I get off work early enough. Im pretty good at cleaning fish too, and I don't take much meat because the wife is not a big fan. I have enough room in my boat for 3 or 4 people to fish, I also have enough gear to fish a few people. PM me on here for more info. I work retail right now, so my schedule varies, with most of my fishing being on week days. My name is Bob Whitt and live around the San Angelo area.My lakes are Twinbuttes,Nasworthy,(big fish-hard to catch)Amistead,Brownwood,Ft Phanthom.Brady(nice lake),and on and on.Am 56 years old,a christain and fish full time.Would like to fish somewhere other than the desert.Have boat will travel. Hey guys, I see alot of you are wanting to trade a fishing trip for a hunting trip. Well, I live on the gulf coast and when duck season comes up I'd be glad to take some of you out to shoot some birds. If you'd rather go dove hunting I could probly swing that too depending on how my land is looking this year (last year we murdered the dove). As for duck hunting Ive been going out to JD Murpheys alot (public land), always limit on teal, and later on in the year after those good cold fronts we shot lots of big ducks. I have a duck boat that is fully capable of going through anything with 4 inches of water (loads of fun). This year im lookin to get on a private lease depending on my money situation. Anyways im 21 from beaumont TX, I love the outdoors and am looking to learn alot about fishing. Im no begginer, but im not pro just yet. Im very laid back, and very respectful of other peoples property. My dad and I share an aluminum xpress, flat bottom boat with a trollin motor, its not much for bass fishing but I still catch lots of them in it. Im lookin for someone who would like to trade for what I have offered, and would like to take me to do some good crappie or bass fishing. I know these 2 seasons are complete oppisites, but im a man of my word. I'll even help you pay for the trip if needed. Shoot me a PM, and we'll figure it out. Last edited by TheGallet; 02/28/10 07:06 PM. I have a pair of nike shoes and a lot of bank to fish on a hard acess lake. Will swap for hunting or fishing trip. Had 20 black bass today 3-7 pounds. I live in Bentonville, AR. My home lake is Beaver Lake (Home to the first BASS tournament), I am an hour and 15min. from Table Rock(Missouri), an hour from Grand Lake(Oklahoma), Couple hours to Bull Shoals, and world famous White River. Have a ranger 520 dvx! I moved to Katy, TX a year ago and have been fishing Conroe and Fayette County Lakes. Kids are grown...have a 19 ft Beeline with a 200hp Merc. Used to live in the Metroplex with Lewisville and Ray Roberts being my home lakes. I go fishing most weekends...if interested in joining me give me a call or send an email. I fish Fayette Co. lake a few times per month. If you don't mind driving down there, I normally have a back seat open. My boat is a 2008 Beeline 19.5 ft. Send a PM if you are interested. Will be going there in there in the morning! Jesus was the greatest fisher-of-men! I am a guide in the middle Texas coast and I also work in the oil industry. I am staying in Decatur during the week and I am looking to trade some crappie fishing trips for some guided, wadefishing trips. I am willing to travel 1-1.5 hours from Decatur to get on some slabs. PM me if interested, or call (979)543-0140 to discuss. I have my own gear and I did well wading for crappie during the spawn. For those not interested in trading trips, I am willing to pay all expenses on any trip I am invited on. Thanks in advance and I look forward to meeting some of yall. I'm moving into the Ft. Hood, Killeen, Copperas Cove area in late July. I need someone to teach me to fish Belton and or Stillhouse for just about anything that swims. I can back seat or front seat as needed. For the last several years I have focused on saltwater fishing out of the Port O'Connor area and haven't fished freshwater much. My family has a little place to stay down there and a 22' Baystealth with a Yammie 150 to fish from. My wife is due to have our third child in August and I have been informed that my weekend long, saltwater trip requests will be denied until further notice. I can't go without fishing that long so I will trade trips to Belton or Stillhouse for trips to the Port O'Connor area in the late fall/winter time frame. I'd be interested in trading trips or information for anything in the Coastal Bend area (bay/offshore) or even looking at Dove or Quail hunting opportunities. I do travel down that way and have a 22foot triton center console. I live in Del Rio and will show you around Amistad if you are interested. I live between Lake Waco and Lake Belton. I am new to fishing freshwater but am ready to learn. I have a 2006 Nitro 17.5 with a mercury 115. Would like to have someone go and maybe show me the ropes. Can be available almost anytime. We are from Nebraska and are going to be in the Corpus Christi area July 17-23rd. 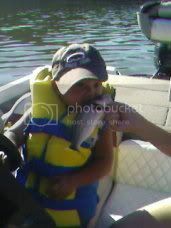 I am looking to see if there is anyone who my husband and son (12 years old ) could fish with? Hubbby is an avid hunter here in Nebraska and would love to show anyone a good time if you ever wanted to come this way for a duck or goose hunt ( or deer, turkey, pheasant...) We are not looking for a big fishing boat, just someone who loves to fish and show people a good time. We would be willing to help pay for gas or bait or anything like that. Thanks in advance for any help!! My name is Michael I live in Lavon and I am trying to learn the area lakes. I have a 21 foot Kenner center console. I moved to the DFW area in 09. I grew up fishing Toledo Bend and still try to go there when I can. I have a camp there I can use. So far I have been unsuccessful meeting anyone around me that fishing for Bass. They fish Lavon for Catfish and Crappie. Crappie can be fun but I have not done that in years. If you know the lakes but lack a ride or would like to swap rides, share expenses drop me a note. I love to fish and my favorite is super fluke and lizards. I have fish rattle traps and jerk baits but I am a bit rusty. Dan,I will be on amistad mar 14 for 30 days.I have a xpress X19w/150.Email me your cell # will take u out at least 1 time. Last edited by wacopops; 01/18/12 09:59 PM. Mike I will be at same rv park mar 14 for 30 days.Been down there seveeral times maybe we can go out for a day. I'd like to trade trips or take someone out. I have a 17 foot aluminum boat. Not much to look at but it does like the fish. I fish tawakoni mostly I'd like to learn a little about Hubbard. I mostly fish for cats drifting or on juglines. Let me know if anyone is interested. My company has a fish camp in Rough Canyon on Amistad. I would trade a weekend on Amistad for a trip in the Austin area. I live on Travis, but I want to fish some of the other area lakes, LBJ, Buchannan or others. Let me know if interested. for a jerk on the other end"
I will trade for a few golf lessons... if anyones interested in learning the game on here... hey don't knock it till ya tried it..
New to the area I recently moved from Kansas City and looking forward to hit the water. All I know about local fishing is what I have read on this forum over the last few days. I have a boat but would prefer to hit the water with a local expert first. Let me know if you want to show me around the area. I have all my own tackle and will happily chip in for gas. I was referred here by a member on a similar site that we have for Wisconsin, lake-link.com. I am down in the Dallas area for work for a 2 weeks, Feb 11th-22nd, and am dying to get out open water fishing, we have been ice fishing the last two months. I have no gear down here so I was considering going to the Lewsiville Lake barge since I can rent equipment there, does anyone know of anything similar that would rent equipment? Also, if anyone has any interest in having a fellow fishermen from Wisconsin go out with them I would appreciate it, I am free all day Saturday the 16th and Sunday the 17th. I am an avid fisherman in Wisconsin mainly targeting walleye but do the occasional bass fishing. If someone was willing to take me out I would gladly return the favor if they were ever up in Wisconsin and help out with bait and gas costs, I do have my own boat and plenty of gear up there. I am 26 years old and a very respectful fisherman and person in general. I have a 21 ft CC Kenner. I moved to Dallas in 2009. I live on Lavon and have caught a few. I want to learn the DFE lakes for LMB mainly and crappie if the big boys are not biting. If you know the lakes but do not have a boat at the moment drop me a PM. If you want to swap trips and show me where to go snd not go I am willing. Weekdays or weekends if I am home. I work a rotation. Sorry just found an earlier post of mine in here. Last edited by Mjaye; 03/25/13 09:52 PM. What an AWESOME idea! I will be moving to the DFW area soon, and will certainly participate. I will be either On the NW quadrant with Grapevine and Lewisville and Roberts, OR possibly the NE with Lavon and Hubbard as home lakes. I will re-post when I'm set. What a neat deal. Until then, tight lines. Like this tread, ck site below, my boat. I would love to hit either just moved here from AZ and sold the bass boat and have not replaced it yet. Ive fished a few tournaments but that was a derby at Canyon and up northeast texas. Im dying to fish any of those and Amistad too. I just havent met the fishing guys as of yet. Only new friends are golfers. Give me a call. Coming over next month, daughter at Tech and loves to fish. I have my own boat, what kind of deal could you do for show around LAke Alan Henry? Hey guys. How are costs typically shared for a trip? If I provide the boat, how are things split up? I'm thinking about bringing one or two folks up to Texoma, along with my 6 year old son. Have it undersood up front so there is no suprises on anyone's part. You want to split the trip 3 ways with 3 people. The best way is to keep a log on the dash of the truck and tell everyone what ever is bought for the group the recipt goes in the book. When the trip is over everyone adds up their colum of expenses. - Bill is good on his part. i live in Helena Montana, never fished for LMB. i would love to be able to go with you. i will be in your area the last week of January.... not sure about the weekend tho. i am also looking to go saltwater fishing. preferably in Baffin Bay. Still working on it. EXPERIENCED 73 YEARS YOUNG LOOKING TO SHARE A TRIP TO CONROE OR ANY HOUSTON AREA LAKE FOR CATFISH. RICHARD CHAMBERS ANY IN BETWEEN. OVERNIGHT IS FINE. ANY DAY IS FINE ALSO RETIRED AND BORED. I NO LONGER HAVE A BOAT. HI TOM. I WOULD BE PLEASED TO GO WITH YOU. WILL SHARE EXPENSES AND SUPPLY FOOD AND DRINK. I LIVE IN PASADENA SO PLEASE CONTACT ME VIA EMAIL ISAACSON1@AOL.COM ANY DAY IS FINE. I AM EXPERIENCED, NOT A NOVICE. I HAVE NOT MUCH PATIENCE WITH BASS FISHING. ALL OTHERS OK. I live in Florida and Fish Stickmarsh Lake Toho and Okeechobee, I love to fish Fork in April If you are down this way give a shout, like I said if you fish Fork in April; that would be good for me. I run a 04 ZX250 I fish Fork but would like some help.. BillM I would really like to fish texoma for smallies!! Last edited by HT66; 09/20/14 04:23 AM. I live 1 mile from Lake Somerville. I dont have a boat or alot of knowledge about the lake, but I have an extra room in my lil fishing cabin/house for someone, especially if they have a boat. Would also be willing to split expenses on a boat trip. I dont eat fish, so any caught I would let you have. Any questions, please let me know. Thanks!!!!!!!! Not a lot of activity lately. Anyone with a boat local to Lake Arlington, Benbrook or Eagle Mountain? Willing to split costs. I usually fish for eater cats and crappie. I usually have a empty back seat since my kids have all grown up. I'm 53, fish mainly for largemouth, some white bass and crappie from timeand catfish on occasion. I have a zx200c skeeter with a 200 merc along with a second boat for back up. I fish the following lakes in East Texas, Sam Rayburn, Toledo Bend, Lake Fork are the three big ones. Some smaller local good bass lakes I fish are Naconiche, Murval, Timpson, Nacogdoches, and Pinkston which held the state record at one time. Anyone interested inerested in fishing one of these lakes can give me a ring at 936-488-9407. HeY Larry I live in center so I can't be too far from you if you're fishing all those lakes. I just recently got a boat and I would love to go fishing with you and pick your brain about all of these lakes. I've fished my whole life but this is the first time I've owned a boat so I don't feel 100% comfortable fishing alone all of the time. You still out there Jay? Have you ever fished the crappie house before it floated away? I fish Somerville and would be interested in getting together. I have a boat. "Follow me and I will make thee a fisher of men!" Bust open my nets LORD!!! because, I am a wishing I was a fishing!! Ranger I would be interested in fishing with you! let me know if you are interested! I would like to trade a trip with someone. My home lake is Lake Houston. I know it well and can show you routes to get anywhere and put you on some bass. It isnt a lake that people go out of the way to fish but they do have a lot of tournaments on it and it is starting to produce a lot of 5 to 7 pound fish regularly. I would like to find someone that knows Livingston and the north end of Conroe and could show me how to get around on them and where to catch fish. I am signing up as a boat captain for a local high school and they will fish lake Houston, lake Conroe and Lake Livingston so I need to learn safe boat routes there. I will come as a trail boat as well so that I learn the routes. Any takers let me know. I am near lake Lewisville and Ray Roberts. Just bought a 20 ft bass boat. I'm wanting to learn more about crappie fishing. If you are an experienced crappie fisherman (man or woman) and are willing to share your knowledge, I have the boat and will pay for the gas. Hogs for fishing. We are headed out to Port A 2nd week of March. Looking to do some fishing. 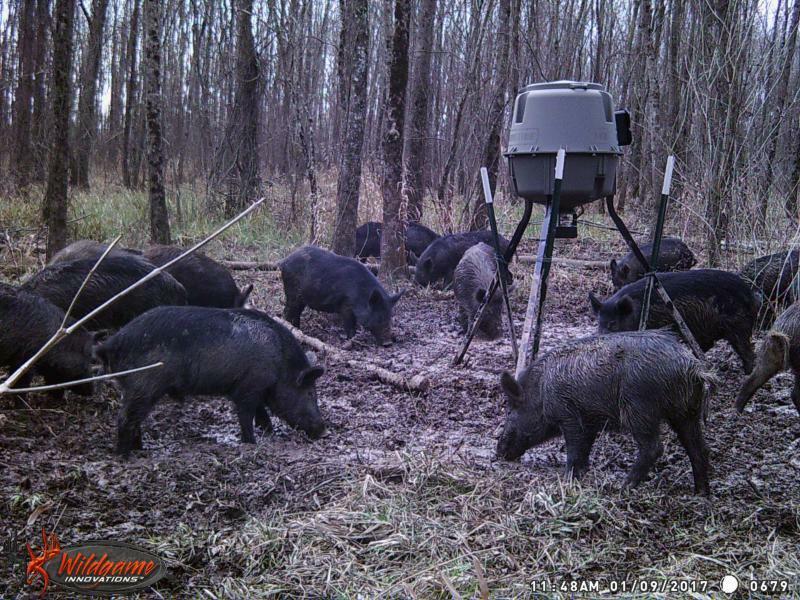 Come on down to the Sulphur Springs, TX area and we can shoot unlimited hogs. I'm in Austin, but have a 18' center console, 2 kayaks, and a small RV on San Antonio Bay. 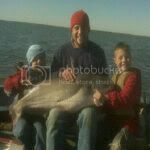 Like to load kayaks in the boat, and fish the the back lakes of Matagorda Island for Reds, and Trout with artificials. Looking to do trip swaps with someone, and willing to travel. Prefer Striper/hybrids, but just like to fish. Dream trip is to fly fish Colorado, Montana, Lower Mountain Fork in Okla. I fish out of Sargent. Nothing fancy 17ft center console. I don't know anything about freshwater but have tried many times.i can usually catch good fish in salt but can't find crappie and I leave about 30 minutes from lake conroe if there's anyone that wants to swap when it's not so hot out. Last edited by SCREAMINREELS; 07/11/17 07:48 PM. Welcome to the forum. I don't do much fishing in the winter but when it warms up again you could tag along with me when I go to Cedar Creek.